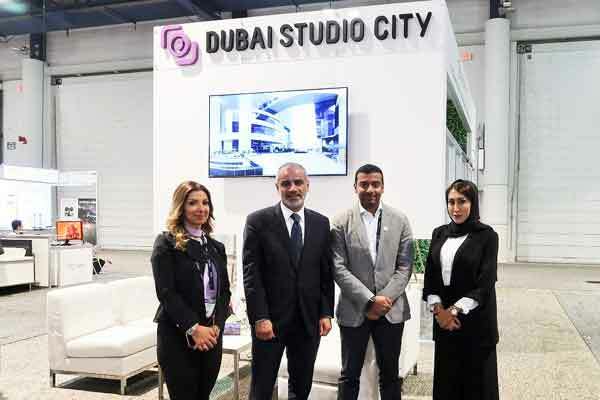 Dubai Studio City, a regional platform for companies in the broadcasting, filmmaking, media production and entertainment industry, recently participated in the National Association of Broadcasters (NAB) Show 2018 in Las Vegas, US, a definitive gathering for the media, entertainment and technology industries. Held annually since 1991, the NAB Show showcases ground-breaking innovations in developing, managing, delivering and monetising content across all media platforms. At the 2018 edition, which was held recently at the Las Vegas Convention Center, Dubai Studio City introduced its unique services and state-of-the-art facilities, designed to support business set-up and growth, said a statement from the platform. A senior management delegation from Dubai Studio City, led by Majed Al Suwaidi, managing director; and Khadija Al Bastaki, business development manager, leveraged its participation at the event to conduct a roadshow to explore collaboration prospects with US businesses seeking to expand to the Middle East region, it said. The Dubai Studio City representatives also held a strategic meeting with Abdulla Alsaboosi, Consul General of the UAE in Los Angeles, to discuss further opportunities for building synergies with broadcasting and media companies in the US, it added. The delegates also attended the NAB Show’s sideline events, including a breakfast workshop themed ‘The Reality of VR Video’, and a session titled ‘Bridging Gaming and Broadcast Technology in Virtual Sets’. “Dubai Studio City is currently home to over 300 companies in the entertainment industry, including some Fortune 500 organisations, and seeks to continue expanding its reach,” he said.